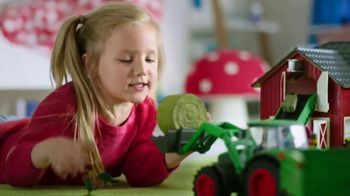 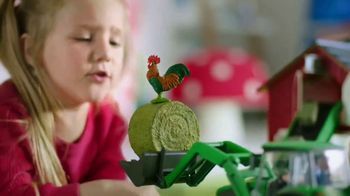 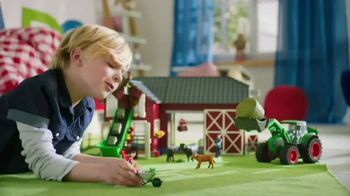 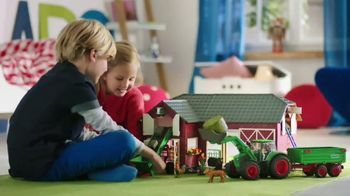 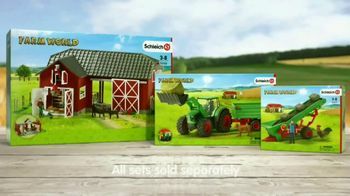 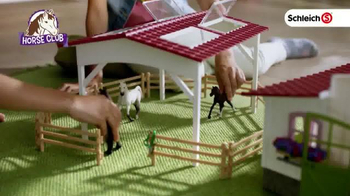 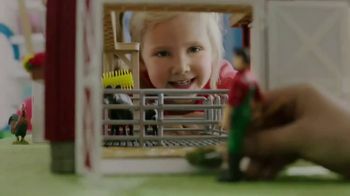 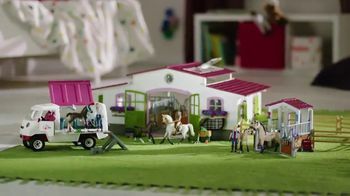 Kids can discover many farm animals and activities with Schleich Farm World playsets. 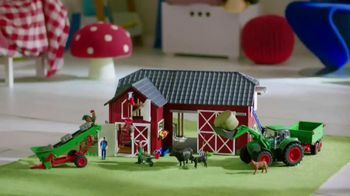 They can help the farmer feed the cows and roosters in the barn and then use the conveyor to put the hay into the hayloft. 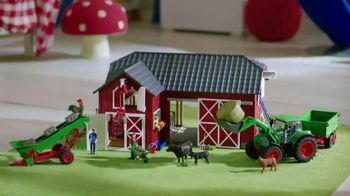 The Farm World Large Barn With Black Angus playset can be completed with the Farm World Tractor With Trailer set and Farm World Hay Conveyor With Farmer set, each sold separately.